There may come a time when a friend or relative of yours has found themselves in trouble with the law, or at least accused of a crime. This person, who becomes known as the defendant, will be placed in jail until their court date, unless someone posts bail for them. Bail is basically insurance that the defendant will show up to court if they are released from jail prior to their trial or other hearing. It works by paying a premium that can range from as little as $50 into the hundreds of thousands or more. While this money is refunded following the trial, assuming the person doesn't skip bail, it is not often that people have the thousands of dollars on hand necessary to pay the bail fee. Fortunately there are bail bonds. A bail bond is issued by a professional bail bond agency that charges a one time, non-refundable fee of about 10 percent of the total bail cost. The bond works just the same as paying the total bail amount in cash, but saves you from having to find the generally large amount of money needed. If you are searching for a bail bond company be sure to work with one that has the experience and commitment you deserve to ensure your loved one is released quickly. The bail agency should offer affordable payment plans and have decades of experience. When you go to post bail with a bail bond agent you will need to have a few pieces of information. This includes the full name and birthday of the defendant, the jail they are booked into, their inmate number, if you can obtain it, and their bail amount. If you're unable to locate any of this information the bail bond agent can help you find it. Once the bail bond has been paid for and issued the defendant will be released. Depending on the jail this can take anywhere from one to 12 hours. After the defendant is released you need to ensure that they stay out of jail and that they appear at each and every scheduled court date. If they miss court without notice a warrant will be issued for their arrest and they will be returned to jail. 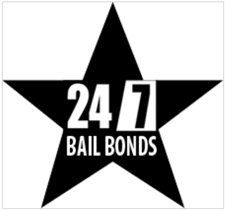 If you need to post bail be sure to work with a reputable bail bond agency, such as 5 Star Bail Bonds in San Rafael. For more than 50 years we've been helping people get their loved ones released from jail fast! To learn more or to request a bail bond in San Rafael give us a call day or night at (415) 479-4800! We're here when you need us the most.